It’s time for a new barbecue. One that has everything you need to easily grill for a crowd, or just for yourself. 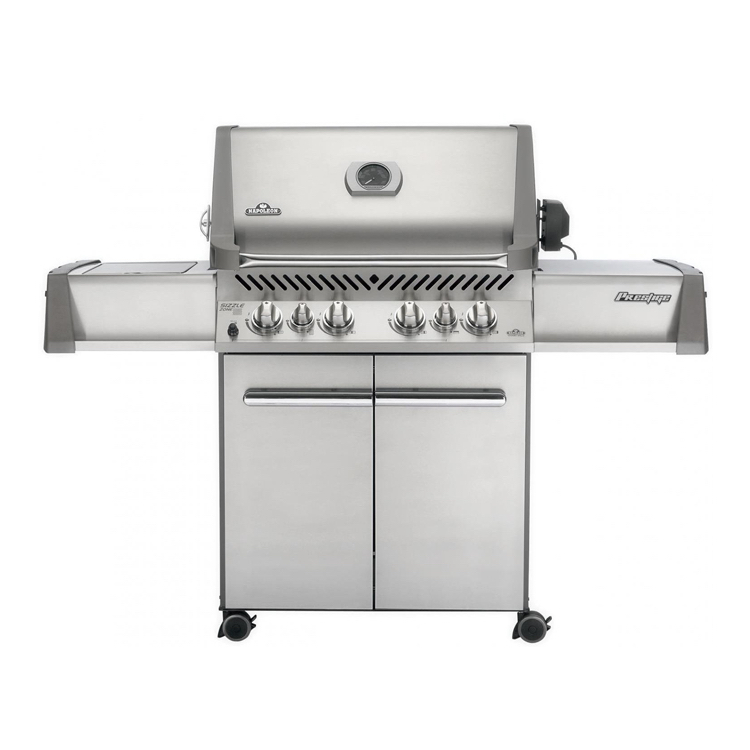 The Napoleon Prestige Series has the perfect Gas Grill for that. It’s time for a new barbecue. One that has everything you need to easily grill for a crowd, or just for yourself. 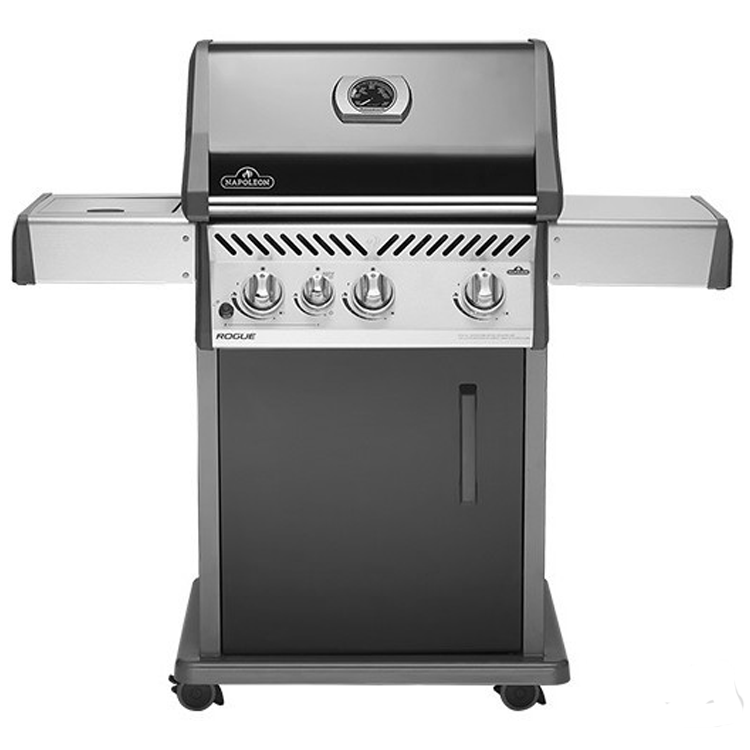 The Napoleon Prestige Series has the perfect Gas Grill for that. 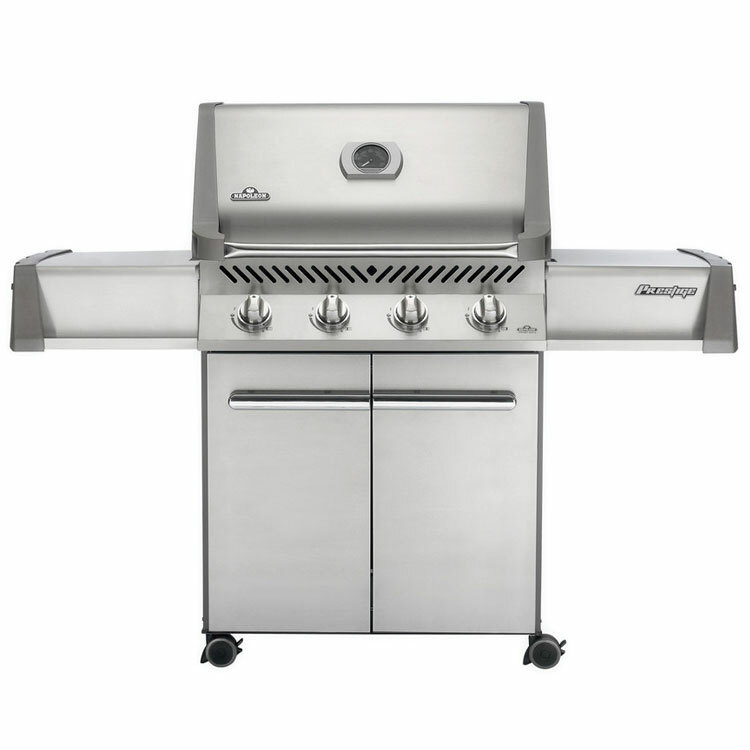 The P500RB Gas Grill boasts the capability of up to 30 burgers at once. 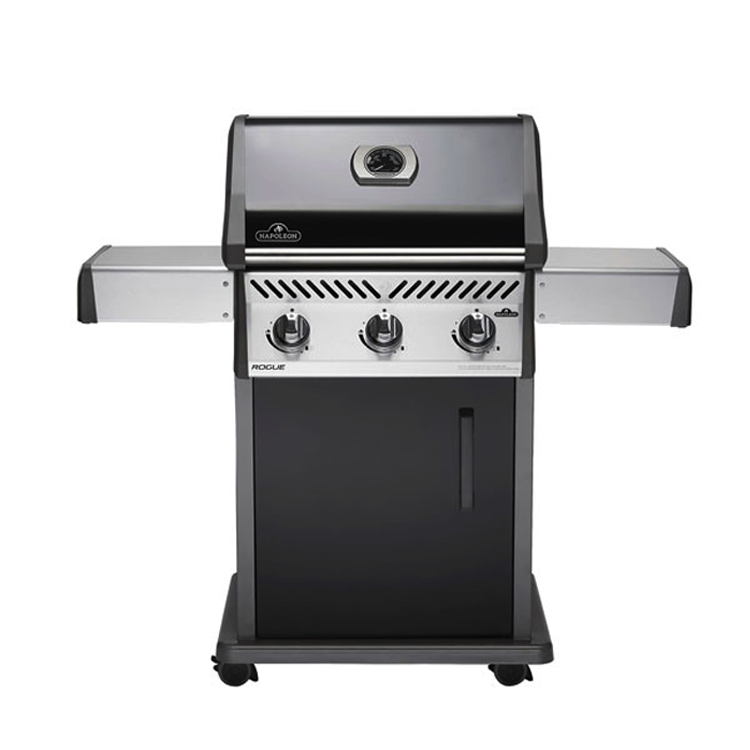 The sleek, black, porcelain-enameled body resists rusting, making the P500RB a durable and long lasting grill. 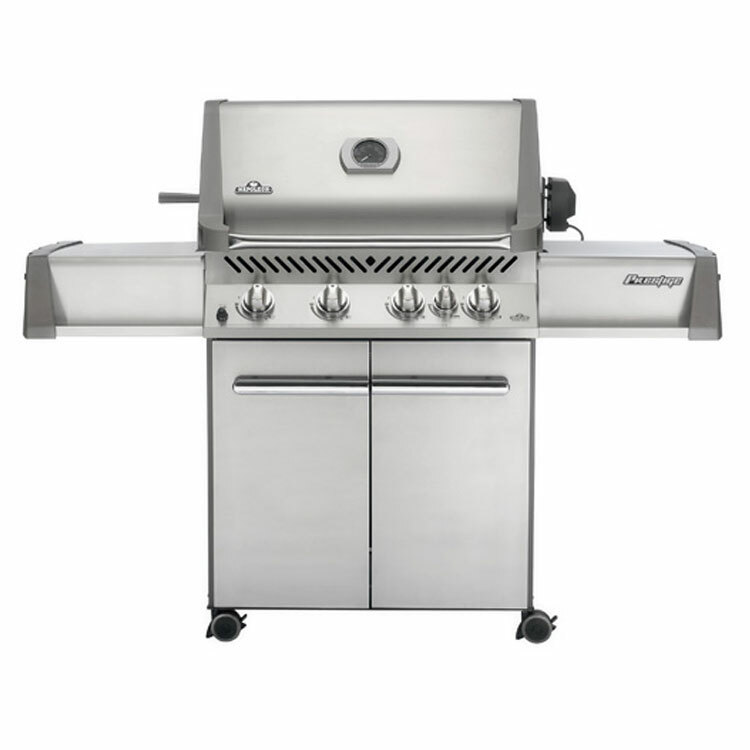 The Prestige Series P500RB has an 18,000 BTU rear burner and comes with an included heavy duty rotisserie in the box. With the P500RB’s superior heat retention and sealed lid construction, you can also roast or even bake cookies and cakes. Turn your P500RB into a smoker by using the Napoleon Smoker Pipe. Simply fill it with soaked wood chips and place it over the lit burners. The lid will hold the smoke in and circulate it around what you are smoking. You can even turn your Gas Grill into a charcoal grill with the Cast Iron Charcoal Tray.